Showing recent results 661 - 675 of 675 products found. Corr Instruments offers a full range of exceptionally high performance, high-temperature and/or high-pressure UltraDeg probes, including pH electrodes, reference electrodes, platinum conductivity probes, and ORP(redox) electrodes, for temperatures up to 650F (343C) and pressures up to 5100 psi (35 MPa). 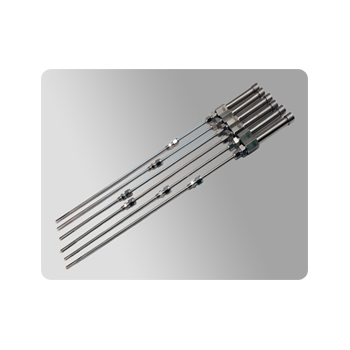 These probes are ideal tools for corrosion monitoring, thermodynamic or electrochemical studies in harsh environments such as steam generators, nuclear power reactors, geothermal systems, deep oil/gas wells, and super critical water systems. Many of these UltraDeg probes are built upon our innovative sealing compound, Queon, which is the only known material in the world for sealing electrical conductors in metal sealing glands or compression feedthroughs that are operable at temperatures between 400F (200C) and 650F (343C). The test system cluster architecture is based on dual CPU or 4-CPU PCs acting as cluster nodes. 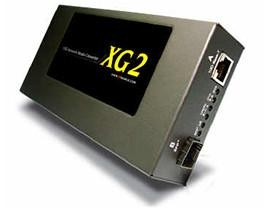 The nodes communicate and synchronise over a high-speed network (Myrinet or InfiniBand). A modification of the Linux operating system allows to run the test execution and evaluation algorithms in hard real-time on reserved CPUs, where scheduling is non-preemptive and controlled by the test system itself. The interrupts caused by interfaces to the system under test may be relayed to CPUs designated explicitly for their handling. This approach offers the opportunity to utilise high-performance standard hardware and the services provided by the widely accepted Linux operating system in combination with all mechanisms required for hard real-time computing. The cluster architecture presents an opportunity to distribute interfaces with high data throughput on different nodes, so that PCI bus overload can be avoided. In addition, the CPU load can be balanced by allocating test data generators, environment simulations and checkers for the behaviour of the system under test ("test oracles") on dedicated CPUs. The Omnitek OTR systems offer a combined data analyzer and test signal generator in a rackmount format. The OTR 1001 system is provided in a 1RU format; the OTR 1003 is provided in a 3RU format. 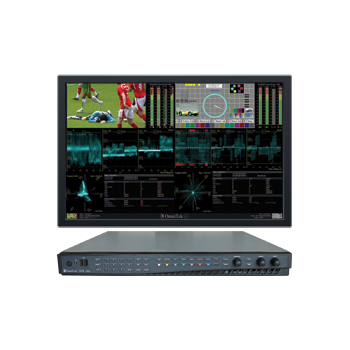 As data analyzers, the OTR systems offer full resolution picture monitoring; comprehensive SDI input status information; waveform, vectorscope and gamut displays; and SDI physical layer analysis including eye-pattern and jitter displays. 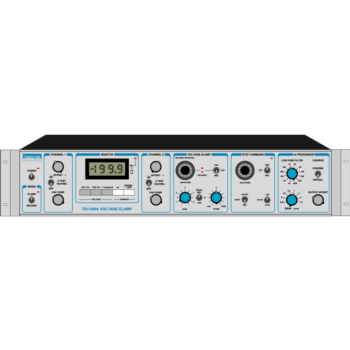 As signal generators, they provide a full range of standard test patterns and zone plates; uncompressed video capture and play-out; gain, noise, bounce and jitter insertion; audio tones, timecode, WSS, video index and SMPTE 352 generation. The facilities offered have recently been enhanced through the addition of a Stereo 3D monitoring option, providing a comprehensive range of colorimetry and depth-analysis functions. The LDA-602EH has a large attenuation range of 120 dB with an exceptional 0.1 dB step size, allowing for both precision and accuracy during fading tests or device characterizations. This attenuator also features a fast 15 us switching speed, an operating temperature from -30oC to 50oC, a maximum RF input of +28 dBm, and is priced at $875. The LDA602-EH operates with a low insertion loss of 9 dB to 6 GHz, an input IP3 of +55 dBm and a typical VSWR of 1.3:1. Easily programmed for ATE applications, the LDA digital attenuators are a cost effective solution whether you are in engineering, the production test lab, or in the field. 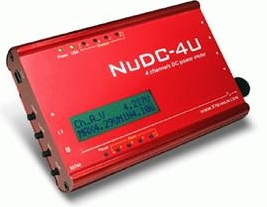 Units are ROHS compliant and can be used with any PC or laptop computer with USB 2.0 port (or powered USB hub) and Windows operating system. 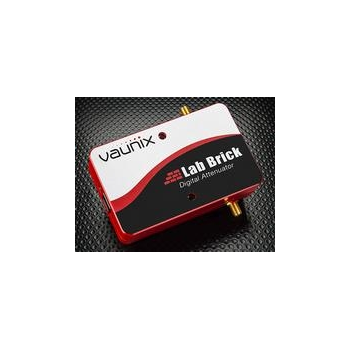 Lab Brick Signal Generators are provided with easy to use Lab Brick GUI software, 32 and 64 bit API DLL files, LabVIEW and Linux compatible drivers. Configuration by using a PC, this is one of the major TRF generator attribute. 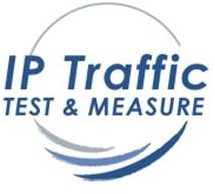 Instruments have factory settings suitable for common applications and contain the most popular test patterns. But many users want to customize the setup or set the instrument according to specificic application requirements. They also may want to adjust parameters, that cannot be accessed by any other way. That is what TRF Manager 9 (optional software pack) can do. And much more! Pattern generators of the TRF-498 and 598 series use a parallel interface for connection with PC. Basic setup can be realized by using Pattern Manager, free software downloadable from our site. For advanced settings there is available TRF Manager 3 software. For more detailed information see the TRF-498 and TRF-598 section, please. The Keysight 81133A single-channel 3.35 GHz Pulse Pattern Generator is the latest product in the long history of Keysights high-speed Pulse Pattern Generators. When timing and performance requirements are critical, for example in high-speed serial bus applications like PCI Express or Serial ATA, its fast rise times and low intrinsic jitter allow the precise and in-depth characterization of devices, e.g. receivers or backplanes. Like its predecessor, the Keysight 8133A, the new 81133A sets the standard for high-speed applications. The Keysight 81133A lets you test your DUT instead of the pulse or data source! For applications that require multiple output channels or multi-level signaling like pre- and de-emphasis (PCI Express) or squelch (Serial ATA), please refer to the 81134A. The LBA Technology vacuum capacitors store maintains a large stock of all types of RF capacitors, both vacuum and mica capacitors. While LBA is a factory dealer specializing in COMET and JENNINGS fixed and variable vacuum capacitors, we can supply virtually any style, value, or manufacturer's product on special order. Typical of other brands supplied are Meiden, Sangamo, and Cornell Dubilier. We provide fast quotes and worldwide shipping.The high quality vacuum capacitors we stock and sell typically have capacitances from 3 pF to 6600 pF, and peak test voltages to 100 kV at 1000 amps. These include both fixed and variable styles. A full line of capacitor accessories such as cylometers, insulators, corona rings, and mounting hardware is available from LBA.Vacuum capacitors are used in a wide variety of applications that require the generation and management of high power radio frequency energy. The vacuum capacitor is extremely stable in electrical characteristics, has extremely low internal dissipation factor (loss) and withstands electrical overloads, such as lightning, with less damage than other types of capacitors. 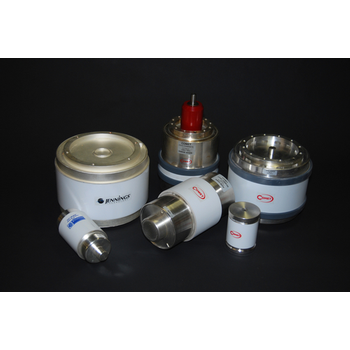 The vacuum capacitor is a key component in high frequency RF generators, industrial RF process applicators and antenna systems operating from low frequency through VHF, at power levels reaching and exceeding 1,000,000 watts. Both air-cooled and water-cooled vacuum capacitors, in fixed and variable styles are used.Vacuum capacitors are employed in broadcast transmitters for long wave, medium wave (MW or AM), short wave, and VHF (FM and TV). They also serve in broadcast antenna systems, particularly in AM directional antenna phasing systems, diplexers, triplexers and line tuning units.Vacuum capacitors find wide application in industrial applications of radio frequency energy. High power RF systems are found in RF dielectric heating devices such as RF welders, radio frequency sealers, RF process heating such as drying and baking ovens. The ubiquitous vacuum capacitor finds frequent application in such medical RF areas as MRI, CAT scanners, RF surgery, and high power particle accelerators. High power RF devices also use vacuum capacitors to help generate RF energy for laser systems, plasma generators, semiconductor foundries, research RF applications, and more. 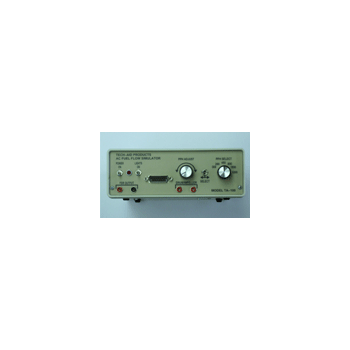 The TA-100 signal generator was designed to facilitate testing of aircraft fuel flow indicators that require two input signals designated as “Drum” and “Impeller”. This generator provides both signals so as to provide a direct interface to the fuel flow indicator under test. The generator also provides switched power out to the unit under test as well as a 5v source for testing the bezel lighting. The original design was built around the requirements for the AMETEK series indicators (pn: 10171 series). This generator simulates a reference and a time delayed signal of appropriate amplitude for an indication of up to 1200pph for the indicator under test. The “PPH Select” switch provides fixed signal delays representing 0, 200, 400, 800, 1000 and 1200pph flow rates respectively, this provides the mechanic with an expedient check of the indicators accuracy. The “PPH Adjust” control allows the mechanic to vary the signal delay throughout the full range and serves as a good method for checking of pointer smoothness from stop to stop. The unit’s front panel also provides test jacks to monitor the “FDR Output” as well as the drum and impeller signals. 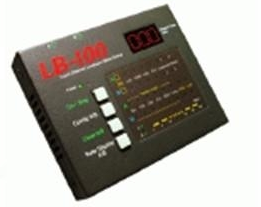 The TA-100 requires only 28Vdc to operate. This generator provides a very economical approach to any repair facility or flight department as it becomes an alternative to purchasing two bench top signal generators. The TA-100 generator at the very least can provide a simple functional test and eliminate the high cost of exchanging an indicator as a function of troubleshooting the aircraft system. Precision CrossLine or Crosshair Generators from MicroImage Video Systems are designed for relative size measuring, positioning and size referencing. The CL5404A series is especially helpful in industrial, metallurgical or forensic applications where comparisons in relative position or size are important.The CL5404A has four (4) vertical lines moveable over the entire raster area. The lines can be set to black or white and each line can be turned off or on individually. Lines may be changed from solid to serrated with one of 13 serration settings. A lock switch is provided for each of the four controls to prevent accidental movement.Line movement can be set to fully independent, tracking mode or mirror mode with front panel switches (in line pairs). In tracking mode, one control moves the position of both lines (without affecting spacing) and the other sets the spacing between lines by moving only one line. In mirror mode, one control moves the position of both lines (without affecting spacing) and the other sets the spacing between lines by moving one line in each direction (maintaining the center point).RS232 remote control and query capability is included on all CL5404A series CrossLine models. The unit may be controlled or queried by a computer RS-232 port. The MicroImage Control Language used for this unit is simple to understand and easy to implement in custom programs, using ASCII characters. Virtually all functions can be controlled by the computer. The computer can also query the line generator for line position as well as switch and mode settings.This CrossLine model incorporates a state of the art digitally generated line system which maximizes precision and repeatability without any internal adjustments. The lines are generated with square pixels to maintain the correct aspect ratio. The high quality, sealed, multi-turn optical encoders allow the lines or box to be moved over the entire image area with maximum accuracy. The optical encoders allow a very high degree of precision without any of the jitter commonly associated with multi-turn potentiometer controls. Even after aging several years, the optical encoders maintain their performance and remain free of jitter, while the older potentiometer based technology used by others typically become noisier which appears as additional jitter. The CL5404A improves over the CL5404 with higher resolution, sealed optical encoders.